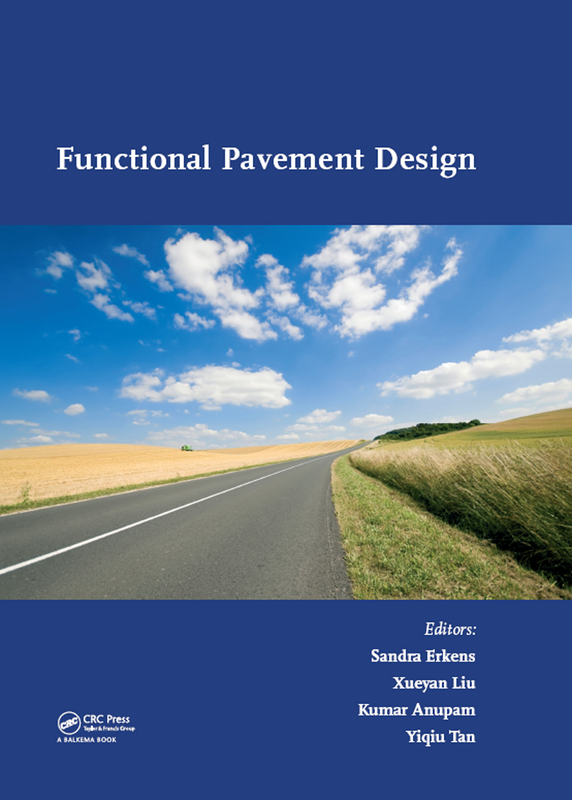 Functional Pavement Design is for contributing to the establishment of a new generation of pavement design methodologies in which rational mechanics principles, advanced constitutive models and advanced material characterization techniques shall constitute the backbone of the design process. The book will be much of interest to professionals and academics in pavement engineering and related disciplines. How to characterize the mechanical response of Bitumen Stabilized Material? Prof. Sandra Erkens is the prinicipal specialist in pavement materials and structures at Rijkswaterstaat, the Dutch Highway Agency. Besides this position, she is a full professor, holding the Chair of Pavement Engineering Practice, at Delft University of Technology. She is an internationally acknowledged expert in pavement materials and structures in general and asphalt concrete in particular. She has coordinated the cooperation of research organizations, among others as a member of the FEHRL (Forum for European Highway Research Laboratories) executive committee and as Program Team member for InfraQuest, the cooperation between Rijkswaterstaat, TU Delft and TNO building in the Netherlands. Sandra is a member of national and international (such as CEN/NEN) committees involved in developing technical requirements for pavement materials and in several (inter)national organizations for the dissemination of research. These include the ISAP technical committee on Constitutive Modelling of Asphalt Concrete, the organization committee of the two yearly Dutch conference on Infrastructure (CROW-infradagen) and the organizing committee of the 4th International Chinese European Worskshop on Functional Pavement Design. She has been involved in road engineering research since 1997, has published over a hundred papers on her work and is a regular reviewer for conferences and journals on the topic. Dr. Xueyan Liu is currently an assistant professor in the section of Pavement Engineering of the Faculty of Civil Engineering & Geosciences of TU Delft. He works in the areas of constitutive modelling, numerical modelling and material experimental characterization. Within the research program of the Section Pavement Engineering, his research topics mostly relate to the development and implementation of constitutive models for the simulation of the static and dynamic response of various pavement engineering materials like soils, asphalt concrete, liner and reinforcing systems etc. Xueyan has published more than 100 technical and journal papers on the mechanics and the finite element modelling of granular, concrete and asphaltic materials. Dr. Liu is a member of RILEM Technical Committee of Cracking in Asphalt Pavements WG3 and a member of Delft Centre for Materials (DCMat). He is also a member of ISAP, AAPT and IACMAG.